In the town center, Appart'City Quimper offers a tonic life near the Place Saint-Corentin, in the heart of a city connected to a train station and an airport, in an area driven by agribusiness and tourism. 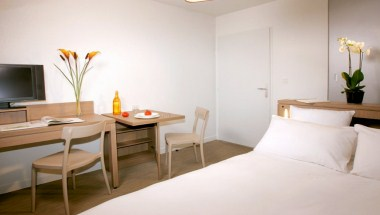 Appart'City Quimper proposes fully furnished studios and apartments for rent from T1 to T2 with hotel-like services for your long and short business trips and city breaks in France. It offers 95 serviced and furnished apartments 1 to 4 people.